Amazon Echo and Echo Dot are cheap again - grab one while it lasts! On Black Friday Amazon heavily discounted Amazon Echo and Amazon Echo Dot, but then it went back to full price. Yet now there's another deal to get both on the cheap. Amazon Echo is just £129.99 (reduced from £149.99) and the Amazon Echo Dot selling at just £44.99 (reduced from £49.99). Hurry though, because we reckon they'll go up again in price as Christmas gets really close. In our T3.com review, we called Amazon Echo Dot a 'no brainer' to buy. It's a hands-free, voice-controlled device that uses Amazon's voice assistant Alexa to play music, control smart home devices, provide information, read the news, set alarms and more. Amazon Echo takes the concept a step further - it's a hands-free speaker, great for music, radio, news bulletins and more. 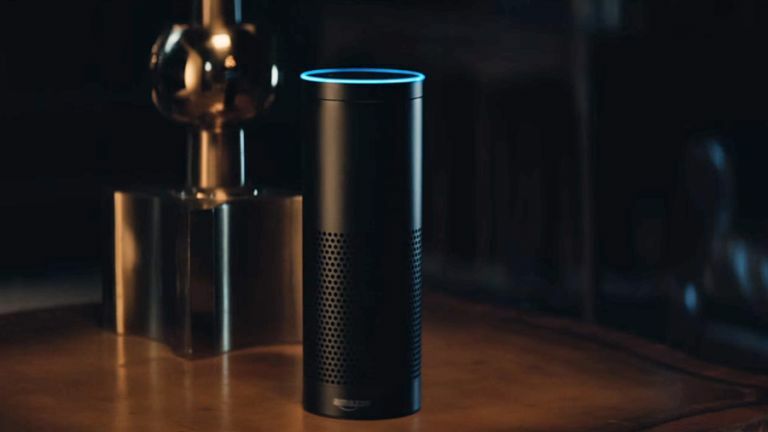 Standing 23.5 centimetres tall, the Echo is fitted with a seven-piece microphone array, and is activated by a simple voice command ("Alexa" by default). Think Siri in a Bluetooth speaker and you're not far wrong. The Echo supports third-party 'skills' as well, so developers outside Amazon can write apps to let the device stream music from Spotify, read tweets or order a ride from Uber. There's no screen here, obviously, so every output has to be spoken back to you. Remember Amazon Echo is just £129.99 (reduced from £149.99) and the Amazon Echo Dot selling at just £44.99 (reduced from £49.99). Amazon's Green Monday Echo deal: Echo Dot less than £35!